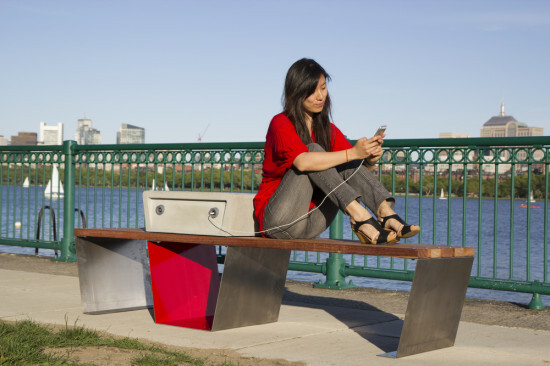 Thanks to a new park bench design equipped with solar-powered docking stations, it’s easier than ever for Bostonians to enjoy the great outdoors by staring directly into their phones. The benches, which are known as “Soofas“, include two charging docks and have begun popping up in city parks as part of a pilot program. The Boston Globe reported that these Soofas were created by a MIT Media Lab spinoff called Changing Environments, which is a Verizon Innovation Program. “The creators behind the smart urban furniture, Soofa, are three women who share one vision: Getting you out of the homes and into a new, smarter and more sustainable city,” the group explained on their website. These benches don’t just charge phones, they are also wifi enabled allowing them to report information on local noise levels, air quality, and totally not any personal information, why are you even asking? Soofas will be at least the second set of unique benches unveiled around Boston in the past year. 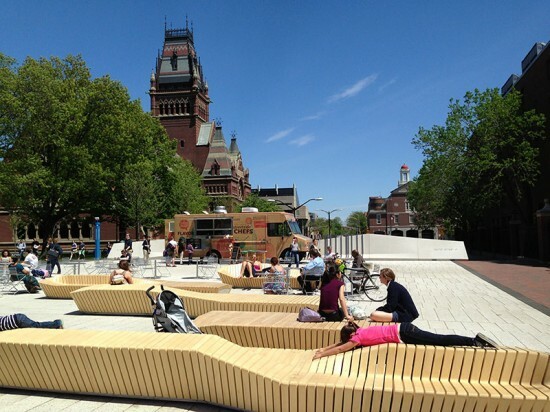 Last summer, AN reported on custom wood benches at Harvard, which are designed by Stoss Landscape Urbanism and resemble sliced bread. Insert pun here.